Left: Recycled Metal Bale Retaining Wall at Foundry Pad. Right: Foundry Landform with Urban Wild Planting. Left: Central Landform and Carpet. Right: Bridging Over Moat at Studio and Movie Room. 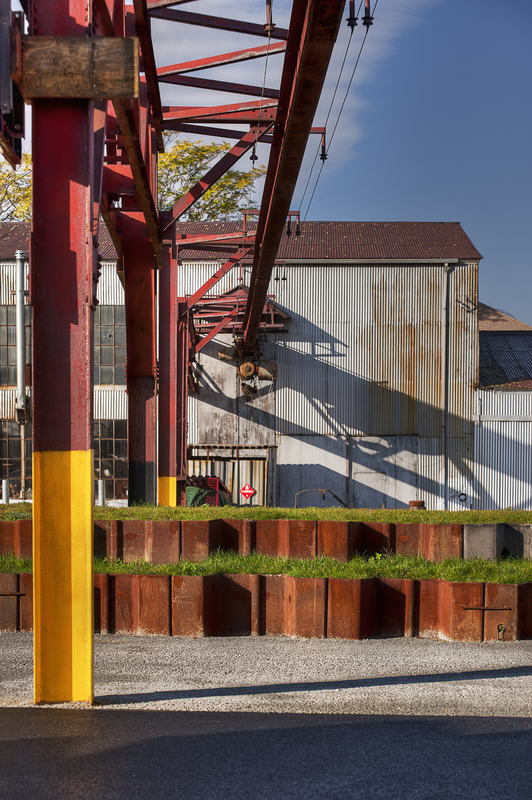 Most cities with industrial pasts inherit problematic environmental futures. 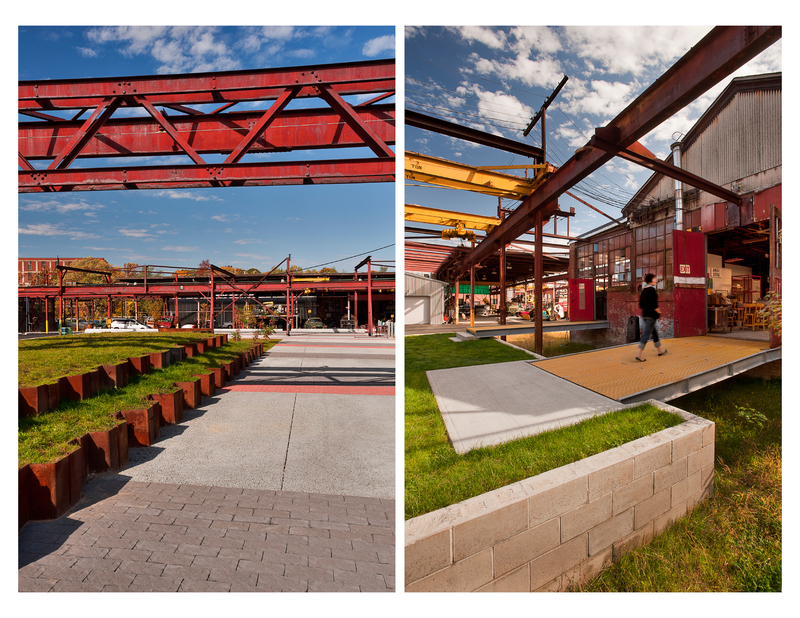 The Steel Yard’s cleanup is a showcase for regenerative design in a tough environment. 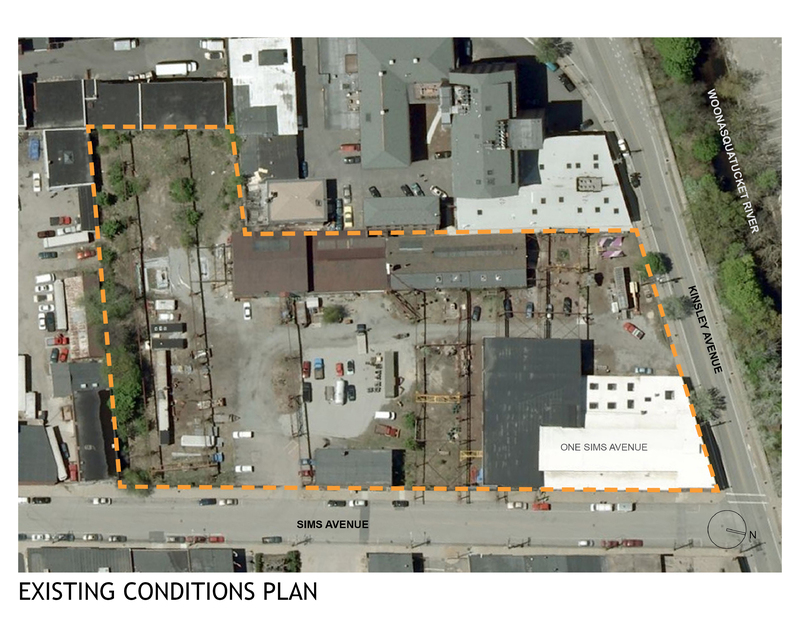 Within industrial Providence, our project is a public intervention that upends commonly held notions of blighted neighborhoods and shows the potential for real, actively engaged—not simply ‘adaptive’—re-use. 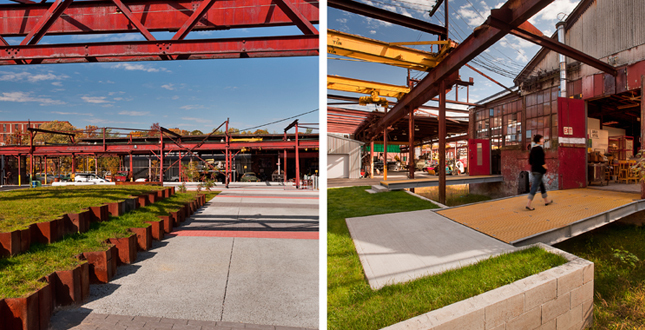 The Steel Yard’s landscape for learning embodies the non-profit’s mission through innovative (and necessarily inexpensive) brownfield remediation, stormwater filtration/reduction, purposeful design and placemaking. 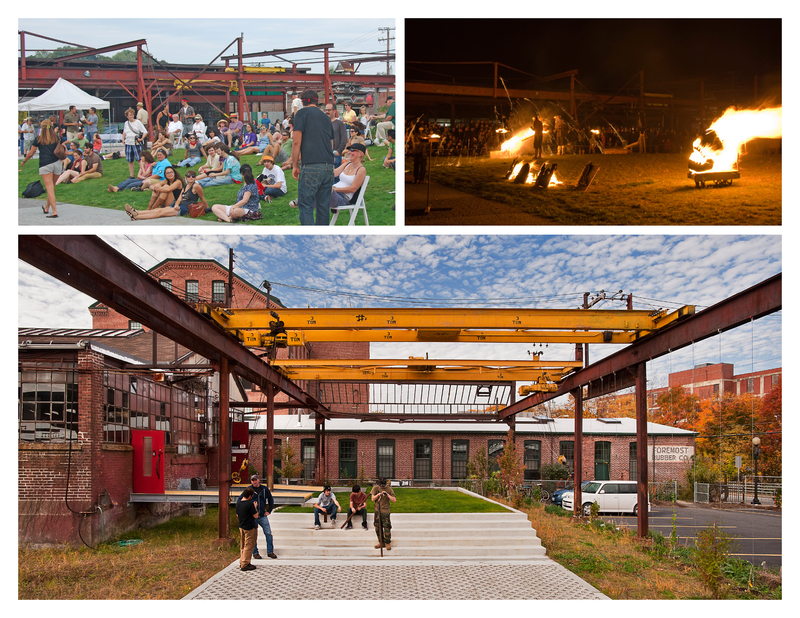 The Steel Yard acts as a catalyst in the creative revitalization of the industrial valley district of Providence, Rhode Island. 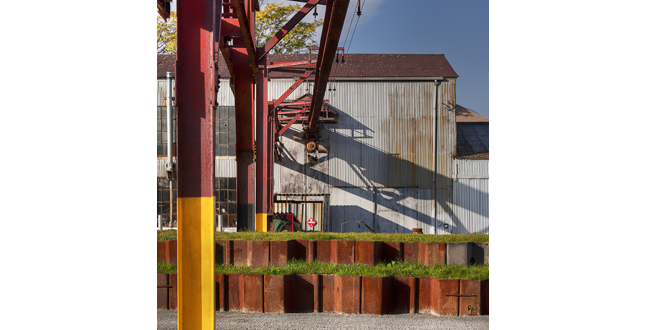 In fostering the industrial arts and incubating small business, the non-profit seeks to cultivate an environment of experimentation and a community strengthened by creative networks. 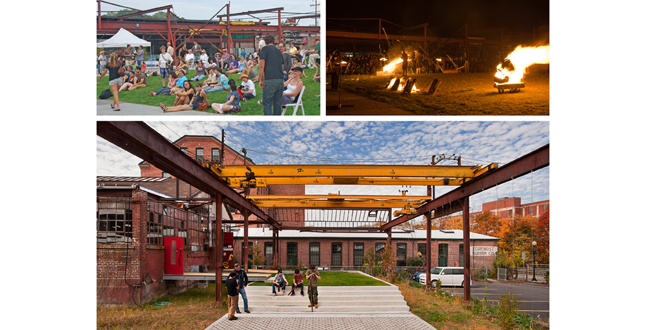 The design intent is to create a memorable and flexible place for this growing, arts-based non-profit that embodies their mission, engages the site’s unique existing structures, utilizes the best sustainable practices possible within a constrained budget, and provides a public landscape to an underserved neighborhood of Providence. 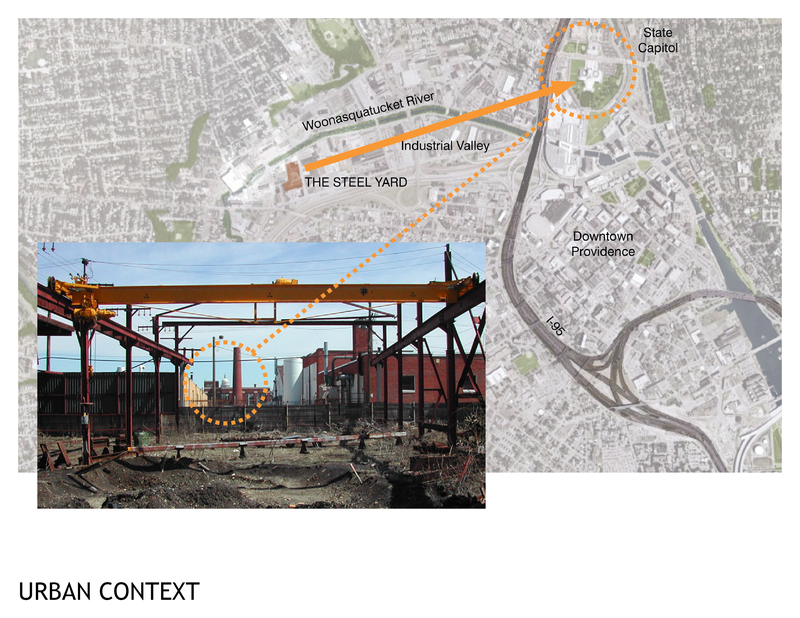 The scope involved leading the client and the organization’s extended community through a collaborative design process to vision The Steel Yard, directing the team of civil, structural and environmental engineers, and assisting shepherding of the project through various regulatory and permitting processes for this 3.5 acre brownfield site. 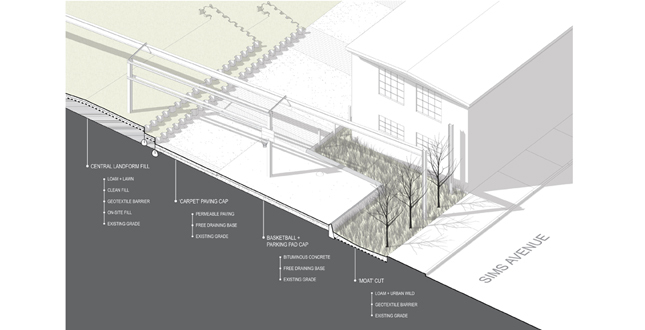 More specifically, the project was taken from schematic design through construction with a design that maximizes landscape-based solutions to meet RIDEM’s capping requirements and the Narragansett Bay Commission’s (NBC) stormwater goals. 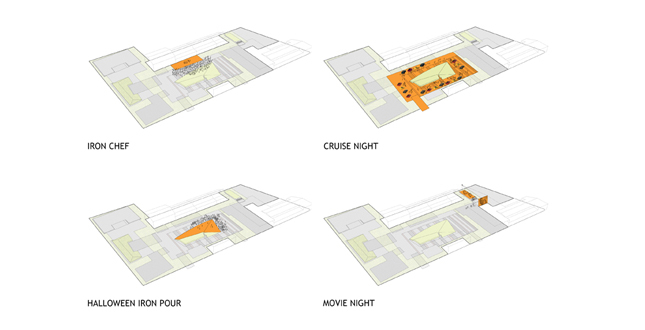 Required exterior spaces include a primary central space (fashioned as a multi-colored paved ‘carpet’) that allows for individual and group work, staging of large events with audiences of up to several hundred, car rallies, farmer’s markets, etc., and whose character defines a sense of place. 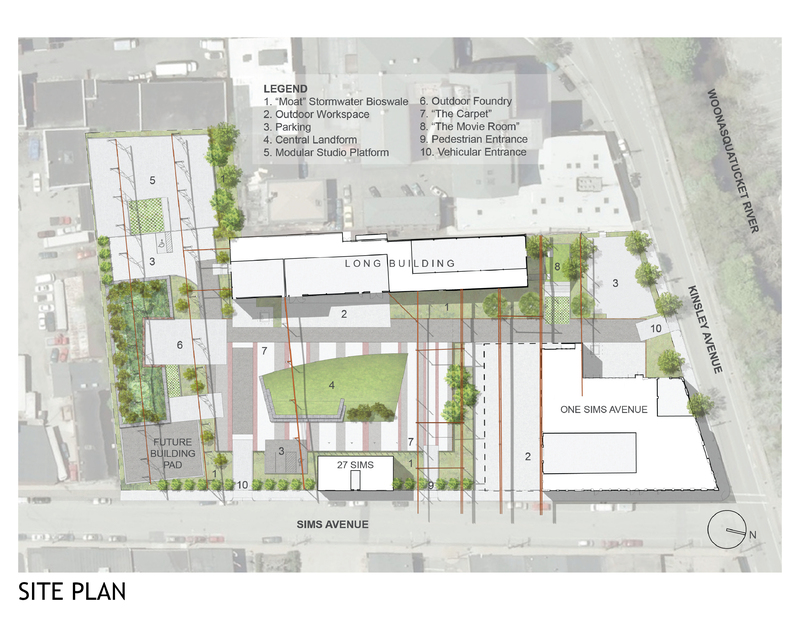 This is surrounded by secondary work spaces such as interior/exterior spill-out shop spaces, an outdoor foundry, a ‘hang-out’ space for movie nights and relaxation, and a future visiting artist’s studio (each ~1000-2000 sf). 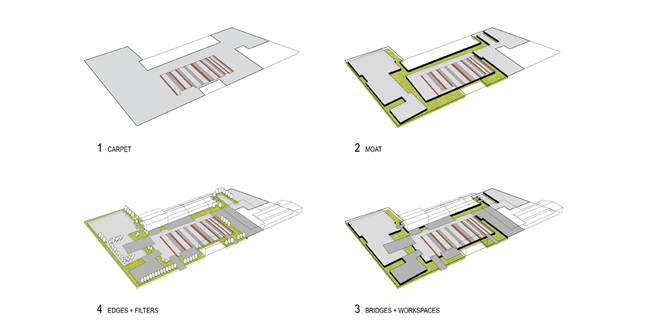 Tertiary service spaces include storage for raw materials and finished art pieces, a paved space serving incubator businesses and artists in shipping container studios, and 20 parking spaces. 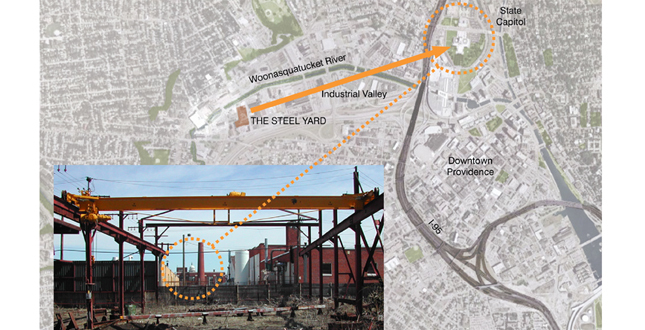 The Steel Yard is located in Olneyville, a blighted neighborhood of Providence characterized by abandoned and contaminated industrial lots like the project site, surface parking, and dilapidated housing stock along the Woonasquatucket River. 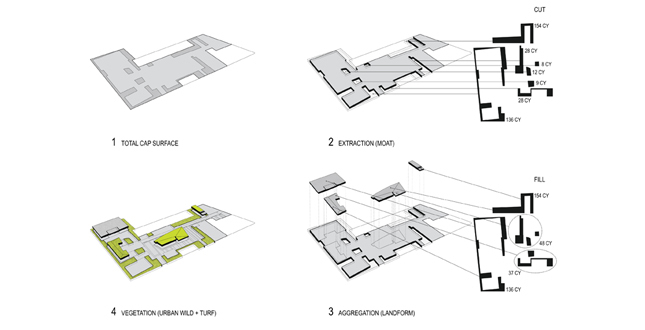 While improving the site’s functionality, a primary goal was to retain the ecological and visual character of ‘urban wild’ in keeping with the context and the site’s abandoned-state beginnings. 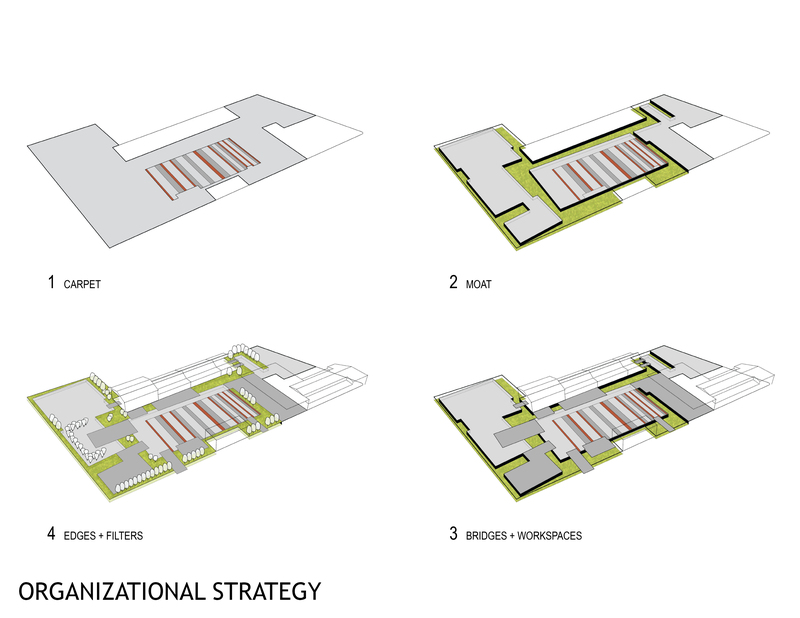 Three industrial buildings exist on the site: One Sims Avenue, a two-story brick building, originally the office and fabrication facility (artist workspaces and a café); 27 Sims, a two-story brick office building (Steel Yard administrative and commercial rental spaces); and the Long Building, a repeatedly expanded corrugated metal and brick fabrication building (workshop space). Five sets of overhead gantry cranes, all of which are working and were incorporated into the project, allow steel to be moved anywhere on site, and give the site its unique character. 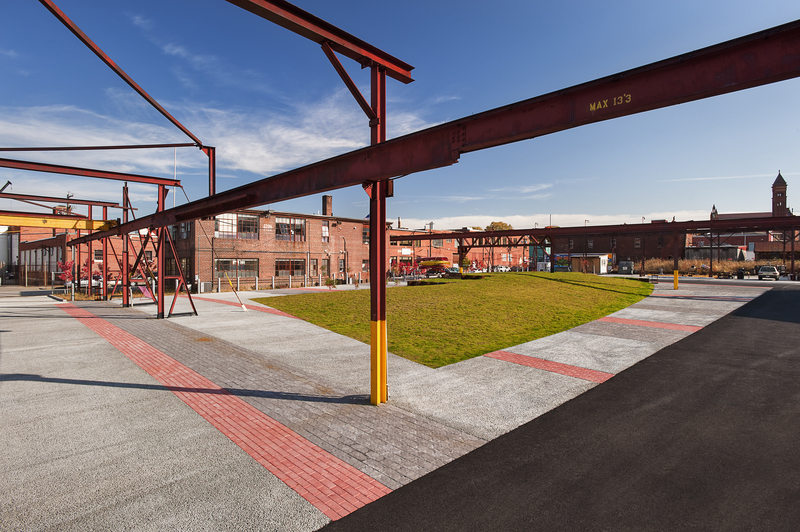 The buildings and cranes were designated historic landmarks by the Rhode Island Historical Preservation and Heritage Commission, whose approval of the new landscape was also required. 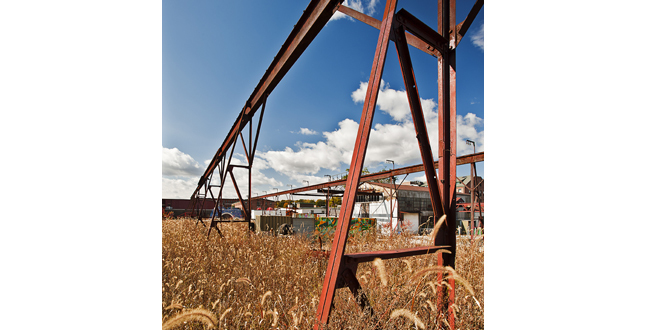 Providence Steel & Iron was a known brownfield site, primarily from lead painting operations, when purchased in 2001. Environmental remediation standards required the extraction of a small amount of soil with lead contamination higher than 10,000 ppm and some chromium contamination. The remaining contaminated soil was treated with a binder to allow it to remain on site, rather than being exported to become a problem elsewhere. 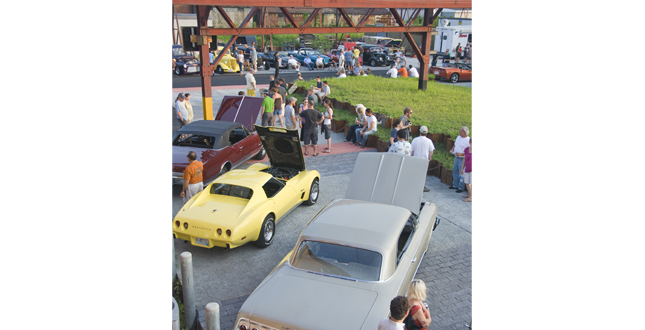 A cap of 12 inches of clean fill or pavement was required across the entire site. As part of the Narragansett Bay watershed, an important sustainability goal was to keep and filter as much stormwater on site as possible. 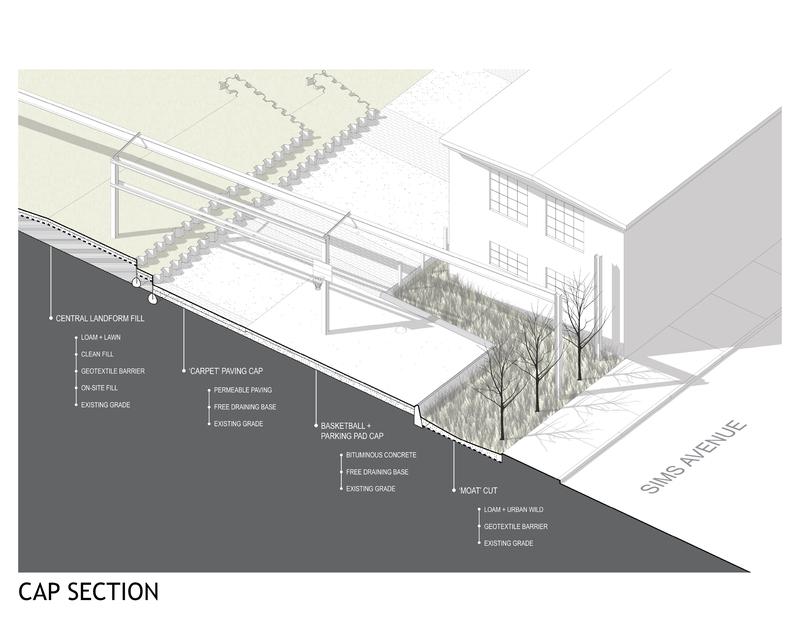 Through a system of bioswales and permeable surfaces, the Steel Yard infiltrates 90% of annual rainfall without employing the new connection to the NBC sewers. 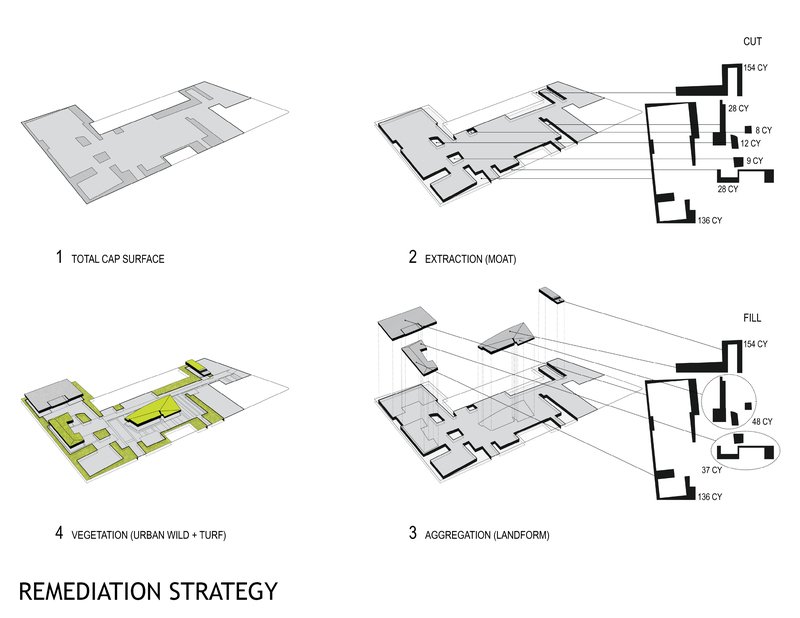 Accommodating this functionality, while also ensuring that contaminated soil does not leach off-site, involved a process of directing infiltration and controlling its volume. While the site’s existing conditions and the involvement of regulatory agencies necessitated a sustainable approach, an ethic of sustainability permeated throughout the project and informed the planting strategy and use of recycled materials. 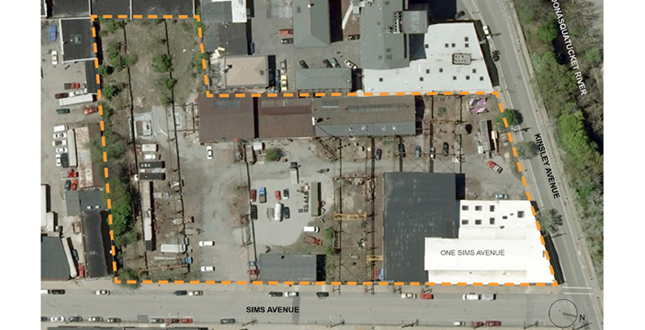 Following a directive from the client to keep as much contaminated soil on-site as possible, site disturbance was minimized, thereby limiting excess fill housed in on-site landforms. Where possible, pavement was built up from existing grade to eliminate excavation for base courses. 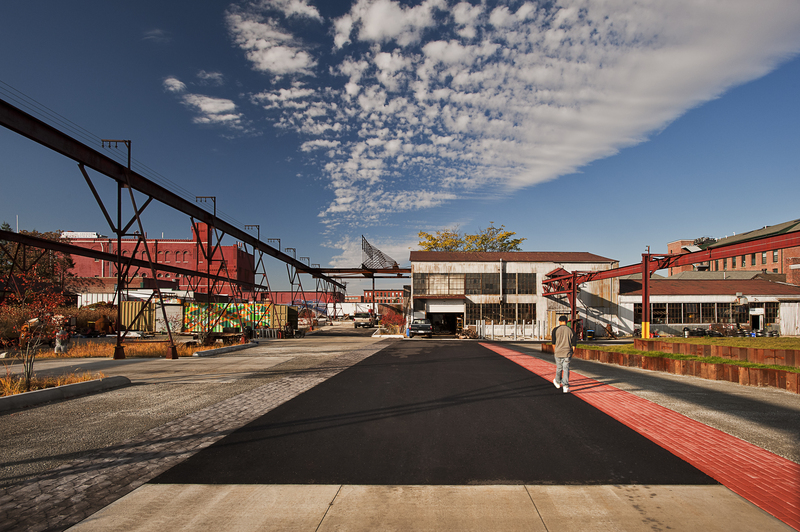 A large surface of permeable and non-permeable pavement, ’the carpet,’ was placed on grade in the center of the site to serve circulation, event, and outdoor fabrication functions. 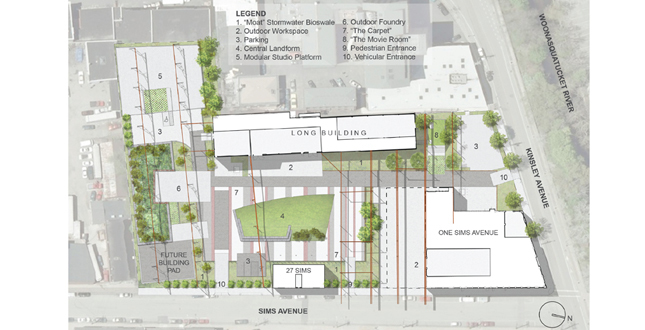 New, higher, pavement grades were integrated with lower finish floor elevations of existing buildings through the introduction of a ‘moat’ at the perimeter of the ‘carpet.’ This zone lowered grade at the buildings, and captures, transports, and stores stormwater during rain events as a bioswale. 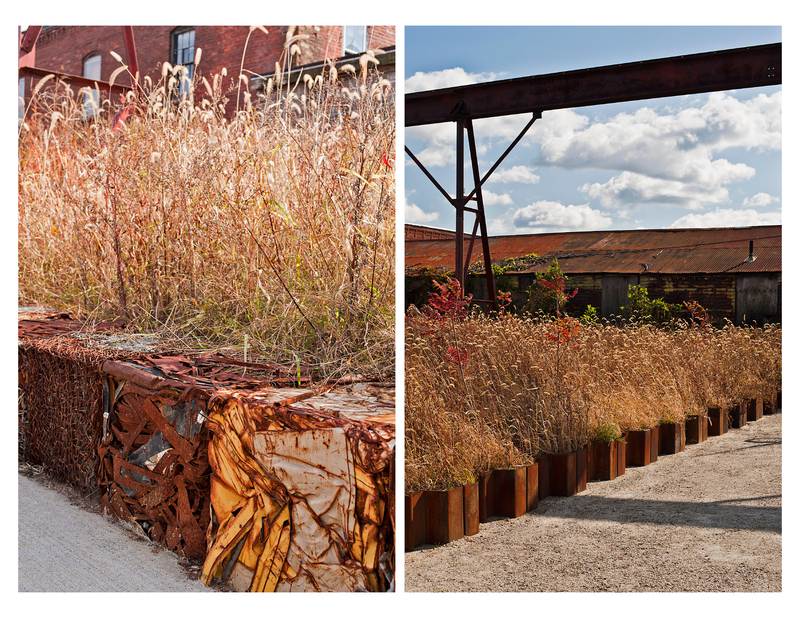 The ‘moats’ were filled with water-loving plants to filter stormwater and prevent erosion of the swales, but more importantly, to establish vegetation across the site in areas not conflicting with events or fabrication. 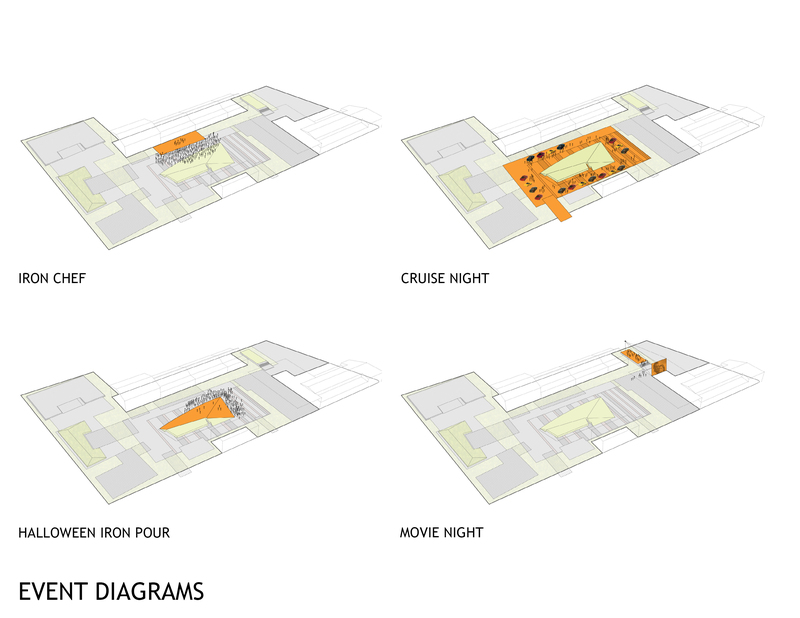 Landform areas are also planted according to their program—the central landform and ‘movie room’ with turf to allow spectator seating or everyday lounging of ‘Yardies’, and the southern landform with sumacand grasses to enclose the main space and screen adjacent properties. 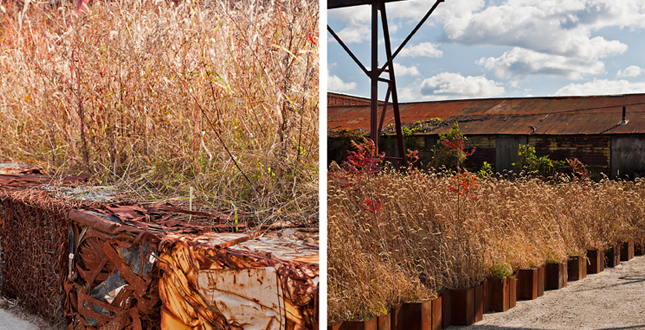 Native pioneer and volunteer species were introduced in the original planting, and are expected to re-colonize the site, restoring the abandoned site’s existing condition—a leafed oasis in its industrial context. 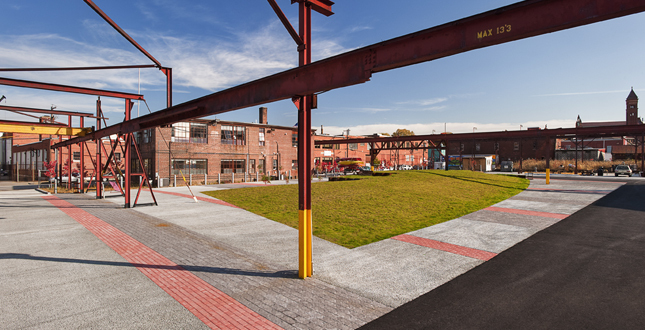 The integration of engineering with placemaking and the smart use of material and method in the design make the Steel Yard significant. Throughout the project, uncommon recycled materials (e.g. 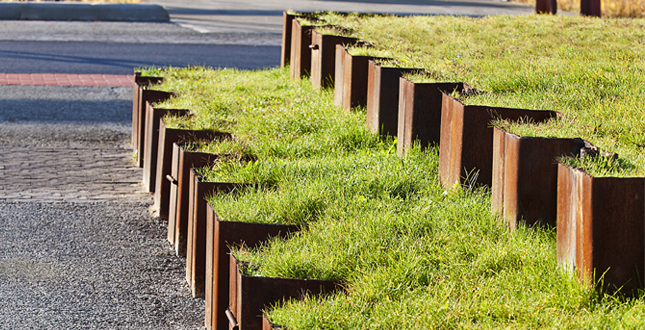 discarded sheet pile culled from waste of other construction sites and scrap metal bales of bicycles, appliances, and car parts) are featured as prominent site elements. 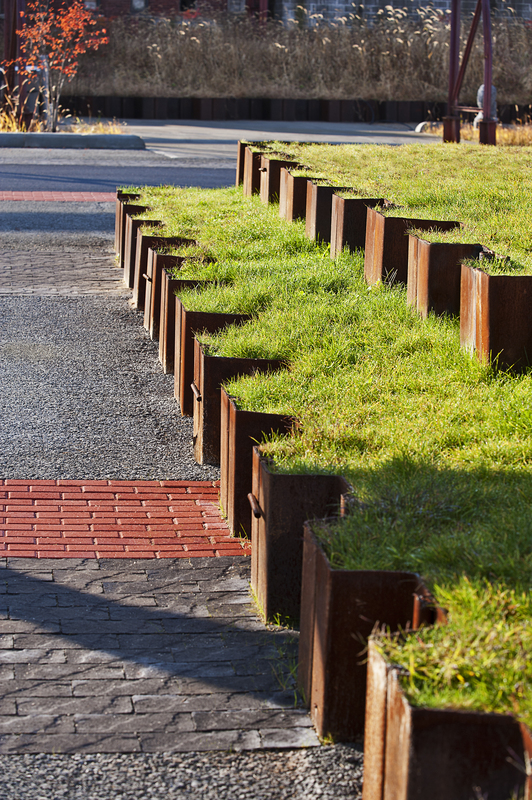 Permeable pavement and bioswales are employed creatively both as sustainable strategies and as design features. Stringent construction budgets necessitated the deployment of volunteers (192 on planting day alone). 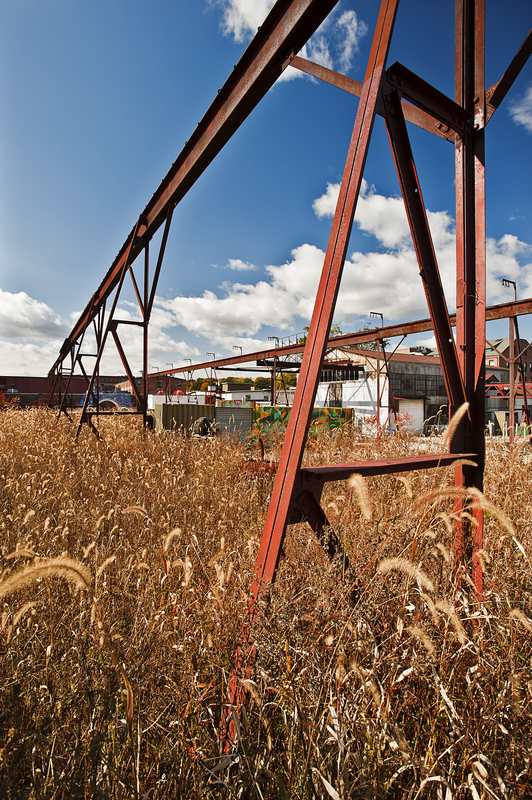 Lastly, the use of a transformed brownfield site as a public landscape is the real triumph. 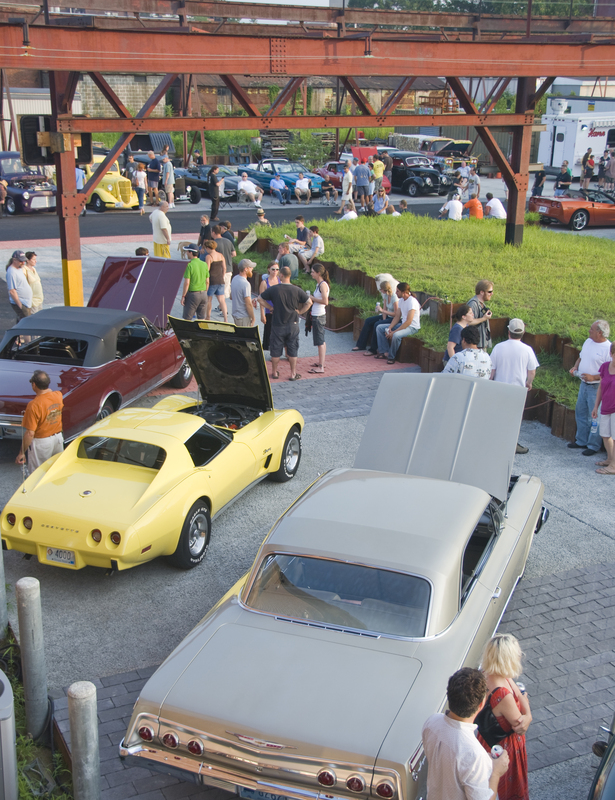 To date, the Yard has hosted many popular and growing-in-attendance public events as well as educated increasing numbers of individuals each year. 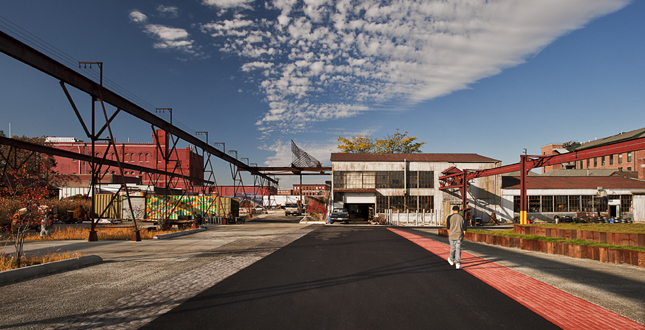 In 2011 in addition to offering expanded education and training opportunities, the Yard will serve as a venue for music, dance, art markets, movies, and a writers’ series. The new landscape facilitates these user-driven and volunteer-run opportunities for community engagement and neighborhood development. Structural Engineering: Structures Workshop, Inc.